Loro Parque has special plans for the Pascua festivities in a very special way, as they come just in time to celebrate the first birthday of Happy, a baby chimpanzee (Pan troglodytes) that was born a year ago in the family of chimpanzees and she was wholeheartedly received by the entire Loro Parque team and visitors. She was named “Happy”, as the day she was born is also known as the International Day of Happiness. It is curious that the name really fits the little chimpanzee, who, having been born on such a special day, is very playful and lively. 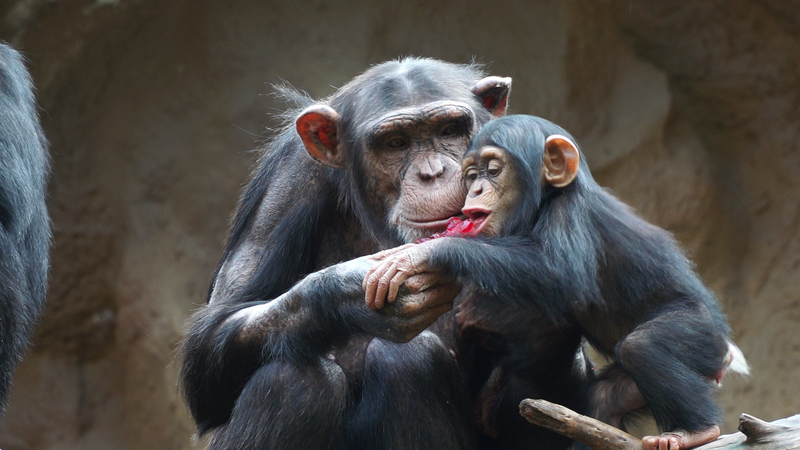 During her first months, just like most mammals, she spent in the arms of her mother, Silvy. Little by little, she has been progressing normally and becoming more and more independent. By now, the little Happy has already begun to investigate the area, in some occasions completely on her own. 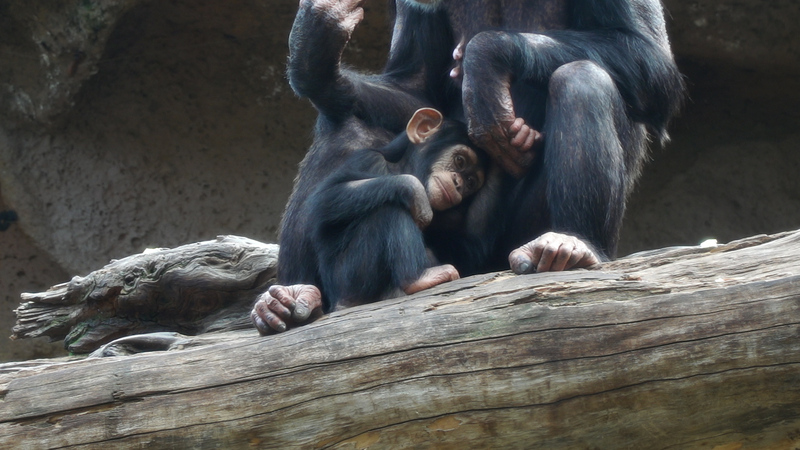 Her social skills, a quality common in chimpanzees, are already showing to be strong. 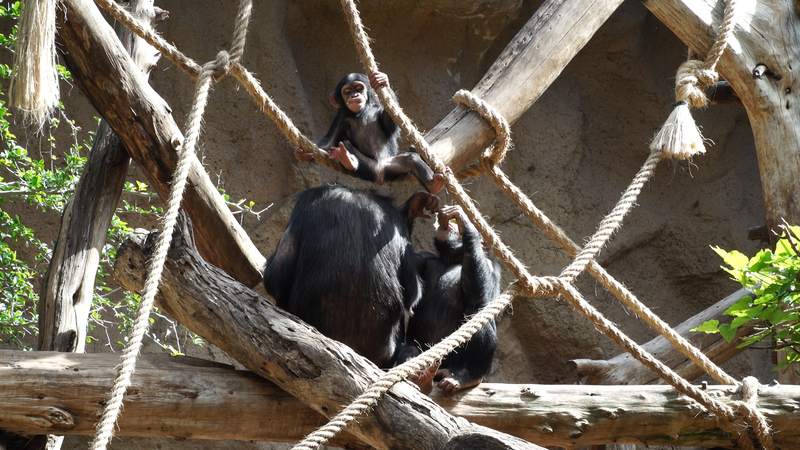 Furthermore, her brothers, Bongo and Gombe, are now experiencing what it is like to live with a baby chimpanzee for the first time and they are learning how to take care of her. This is something that will come useful to them at a later age, as they start their own families. It is quite a privilege to be able to witness the natural behaviour of such wonderful animals, who share with us, humans, 98% of the genetic code. It is worth noting that these animals are also in need our protection as they are considered endangered. The International Union for the Conservation of Nature (IUCN) estimates that more than the 50% of the chimpanzees that exist in the world are going to disappear by 2050. In this sense, Happy, along with the other members of her family, is an important ambassador of her counterparts in the wild and she helps getting the attention of the public about the problems that animals are facing in their natural habitats affected by human activity. Loro Parque is happy to about the progress Happy is making, both physiologically and socially. It reaffirms, once again, the highest quality of the care provided by the team of the zookeepers aimed at guaranteeing the maximum well-being of the animals of the park, which was named the best zoo in the world by the travel portal TripAdvisor in 2017. 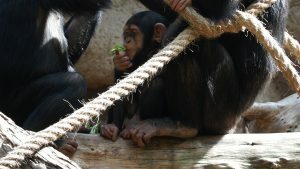 Never is a better time than now to visit Loro Parque and personally observe the young chimpanzee Happy’s behaviour and personality, as well learning more about the daily life of the family of these charismatic animals who have found a second home in Loro Parque and who are acting here as true ambassadors of their counterparts in the wild.